The men have been held in prison in Assam on charges of illegally entering the country and are due to be sent back on October 3, the UN Special Rapporteur on racism, Tendayi Achiume, said Tuesday. 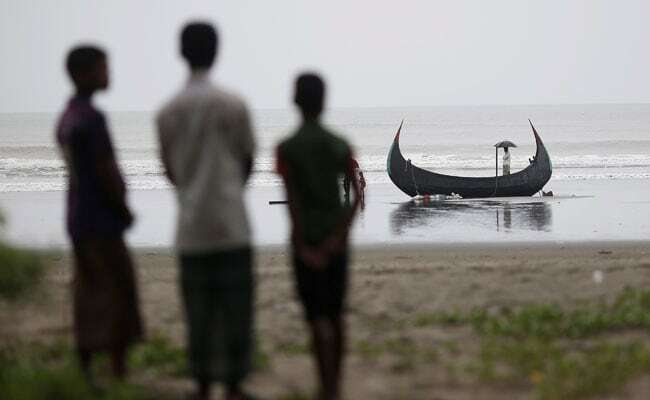 A United Nations legal expert has voiced concern over government's plan to deport on Wednesday seven Rohingyas to Myanmar where the army is accused of ethnic cleansing of the Muslim minority. "Given the ethnic identity of the men, this is a flagrant denial of their right to protection and could amount to refoulement," the law professor said in a statement. "The Indian government has an international legal obligation to fully acknowledge the institutionalised discrimination, persecution, hate and gross human rights violations these people have faced in their country of origin and provide them the necessary protection." Achiume said New Delhi was obliged to refer Rohingyas under its custody to the UN refugee agency to assess their protection needs. More than 700,000 ethnic Rohingya fled an offensive by Myanmar troops launched nearly a year ago in reprisal for attacks on border posts by Rohingya rebels who took up arms against the ill-treatment of the stateless minority. The United Nations has termed the repression "ethnic cleansing" and "genocide". Myanmar's army has denied nearly all wrongdoing, insisting its campaign was justified to root out Rohingya insurgents. The UN expert said she was "appalled" at the amount of time the seven men from Kyauk Daw township in central Rakhine state had been detained. "Prolonged detention of this kind is prohibited," Achiume said. "It could be considered arbitrary, and could even fall under the category of inhuman and degrading treatment." The scheduled deportations follow an Indian government order last year to return Rohingyas, but the Supreme Court is still considering a petition challenging the order on the grounds it was unconstitutional. The UN expert said nearly 200 Rohingyas are known to be detained in the country on charges of illegal entry. "We urge the government of India to abide by the international norm of non-refoulement and protect the rights of asylum seekers and refugees including Rohingyas," she said. While successive waves of Rohingyas have fled into Bangladesh, small numbers have found their way to India and Nepal while a small community has also been established in Pakistan.